At Thu Mar 14 11:30:01 2019, the file was initially submitted. 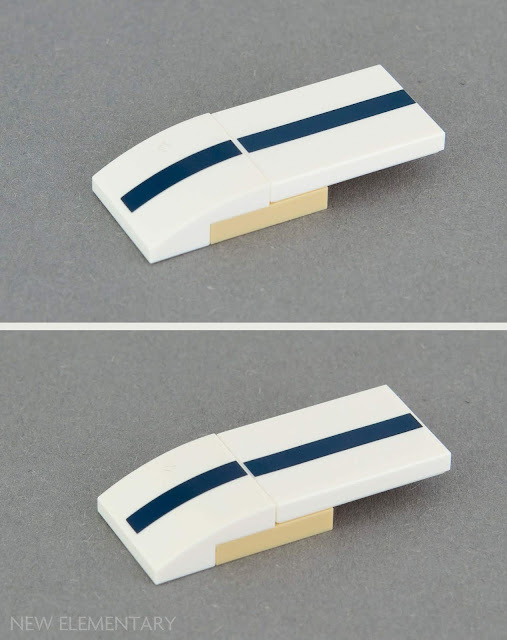 the strip is too wide, it must be the same width as the understud. .. change accordingly also your other parts from the series. At Sun Mar 17 18:40:02 2019, a new version of the file was submitted. Have now made the strip narrower. At Tue Mar 19 20:15:01 2019, a new version of the file was submitted. If needed I can provide you a top view picture for all the striped tiles and this slope.